SwitchGear now offers synthetic miRNA target GoClone luciferase reporters as a complement to our endogenous human 3′UTR GoClones. 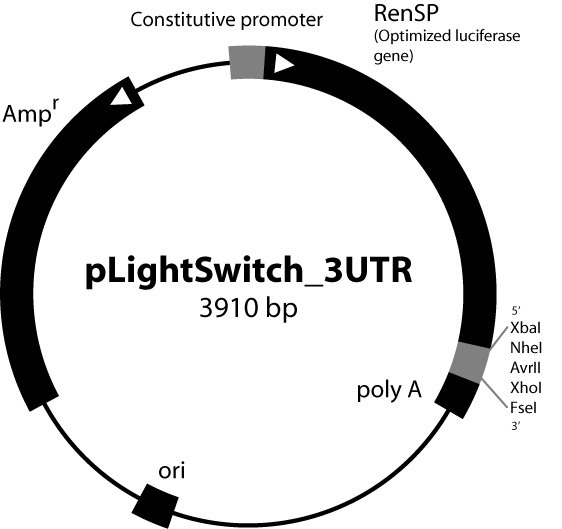 Each vector contains an optimized synthetic target consisting of sequence repeats that are fully complementary to a variety of human and human viral miRNAs cloned downstream of the RenSP reporter gene in the pLightSwitch_3UTR vector. The target region sequences are based on miRBase 16 annotations. Click here to visit the Active Motif website.